The District Superior is responsible for the administration of the District according to the statutes and spirit of the Society of Saint Pius X. He reviews the files of applicants to the seminary and organizes the foundation of priories, retreat centers, and schools. He authorizes the opening of new chapels, submits the names of priors to the Superior General, and appoints the prior's assistants and the brothers entrusted to him. God is everywhere. He foresees everything and He never forgets or neglects a single creature. His reign is defined by prudence and wisdom, strength and stability. God – amidst an amazing variety of responsibilities, of people to guide, of events to conduct, and of prayers to answer – always maintains an unalterable peace. He is always perfectly composed, seeking the best way to draw souls into His love. God's plan is always perfect, and so too are the means He uses to achieve this plan. God rewards and punishes with equity, without respect of person. He is patient and merciful, and waits for the most favorable moment before He acts. He strengthens the weak, He consoles the afflicted, He encourages the good, and most impressively, He wins over the wicked by His loving grace. When He punishes, He does so as a father, always seeking the improvement of His precious children. God is the perfect, supreme example, and the District Superior, in all his dealings with men, must humbly strive to imitate the divine model. Despite his many weaknesses, the district superior, like Saint Paul, must become "all things to all men" in order to win them for God. The District Superior’s first priority is to guide and regulate the activities of the priests in his district. Their bodily and especially their spiritual welfare is most dear to him, and he will go to great lengths to make sure they are healthy on both accounts. Collaborating with these priests, the District Superior can then best advance the formation and education of all the Christians entrusted to his care. "Restoring All Things in Christ"
All the temporal activities undertaken by the District – buying new properties, distributing Catholic literature, arranging pastoral visits, etc. - have as their only goal the strengthening of the Faith and the defense and restoration of true Christian culture. Whatever may be built, printed, published, or produced should thus reflect the greatness of God, the beauty of His gifts, the purity of His ways, and the unceasing care for His children. The District Superior is responsible for the pastoral, spiritual, and temporal administration of the District according to the Statutes and spirit of the Society of Saint Pius X. He reviews the files of aspirants to the priesthood and organizes the foundation of priories, retreat centers, and schools. He authorizes the opening of new chapels, submits the names of the priors to the Superior General, and appoints the prior's assistants and the Brothers entrusted to him. Fr. Jurgen Wegner is German, born in the Black Forest in the Southwest corner of Germany. 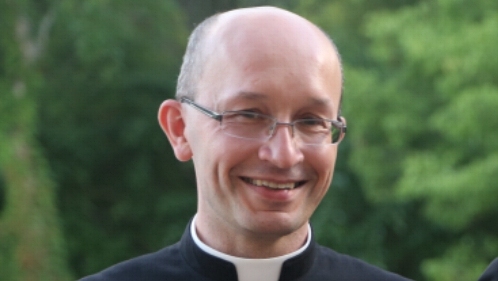 He studied in the SSPX seminaries of Zaitzkofen, Germany and Econe, Switzerland. Ordained in 1991, he spent time in the Netherlands and then 6 years at St. John School in Germany. He has been District Superior of Belgium and the Netherlands. After a 6-year term as District Superior in Canada, he was named District Superior of the United States in 2014. Fr. Wegner resides at the Regina Coeli House. The First Assistant is chosen by the District Superior and has the task of advising him on various district matters. He is also the superintendent of the district's schools and in this capacity conducts the annual visits to them, while overseeing and developing the educational curriculum and tests. He also has the responsibility of organizing various district office events such as the regular meetings of the priors and priests at the Regina Coeli House. Fr. Gerard Beck was ordained a priest in 1996 whereupon he immediately took up the duties as the District Bursar, an office that he effectively labored in until 2010. Father was then appointed as First Assistant to the District Superior and superintendent of the SSPX's schools here in the United States. The Second Assistant is appointed by the District Superior to advise him in district matters. He assists the District Superior in ensuring the welfare of the district's priests, chapels and faithful by making regular visits to the priories and chapels in the United States. Another of his important tasks—and one that is close to the SSPX's heart, for this is its primary cause of our existence—is the overseeing of the continuing studies of the Society's younger priests in the district. Fr. Steven McDonald was ordained in 2001 and was assigned to Post Falls, Idaho for one year, and then was appointed District Secretary. 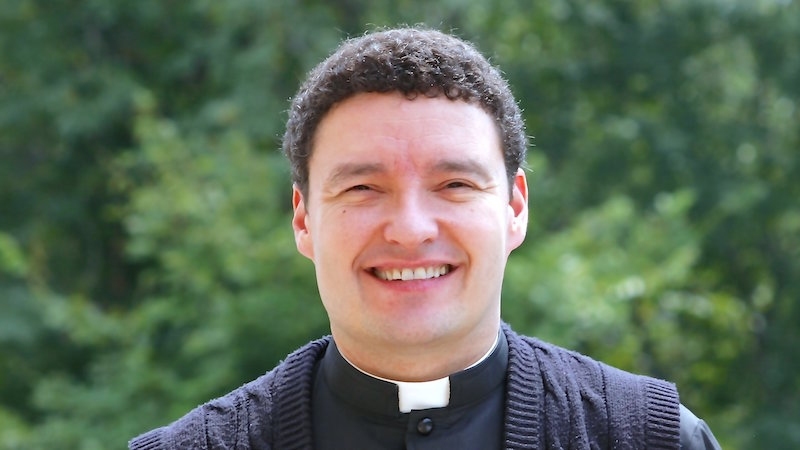 After serving at the Regina Coeli House for four years, he was made prior at Armada, Michigan, a position he held for six years, followed by his appointment as the Second Assistant to the District Superior in 2012. In 2016, he was again assigned to Immaculate Conception Priory in Post Falls, ID. The District Bursar is chosen by the District Superior to efficiently manage the material affairs of the district such as accounting procedures, construction projects and renovations, insurance and legal details; thus, he is concerned primarily with legal and financial matters. He oversees the buying and selling of properties around the district, the building of chapels and schools, and the district's employees' salaries. As Archbishop Lefebvre instructed in the SSPX's Statutes, the District Bursar is obliged to “wisely administer the goods which do not belong to us and which, often, have been given to us by persons who have deprived themselves to assist us.” Therefore, he helps the priests of the district to reduce expenses and exercise prudence in their administration, but without eliminating a spirit of magnanimity, charity and zeal.